This post was originally written and shared by us in 2013. It is based on insights from the Comrades Novice Project as heard from Comrades Coach, Lindsey Parry and Comrades King, Bruce Fordyce. Mileage: A novice’s total training mileage should be between 600 km-1200 km, roughly between 40km- 60km in weekly mileage. Takkies: Replace every 800-1000km depending on your weight. Lighter runners (under 70kg) can push to 1000km. Takkies tend to be at their best between 200-600km, that is where you want your shoe mileage to be on Comrades Day. It is better to get to the start under-trained than over-trained. Signs that you are over-trained include a decrease in appetite (caused by the cortisol produced by your body which suppresses appetite); insomnia and irritability. At this stage of your training you should have an almost insatiable appetite and sleep like a log at night. The Long Run: Both Bruce Fordyce and Lindsey Parry are not fans of the long run and feel it unnecessary for novices. 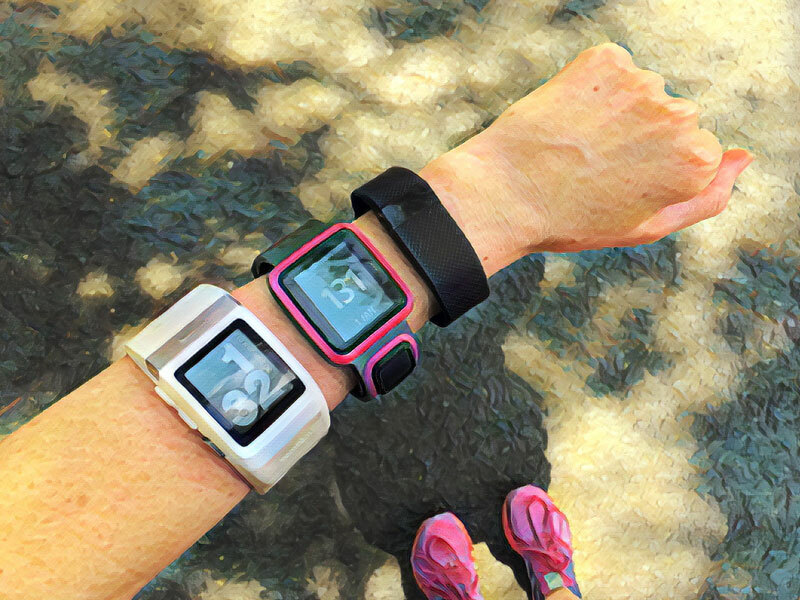 Your weekday runs are long and combined, count as long runs. The long run is a breeding ground for injuries. If you do choose to do it make sure it is done very slowly. It should be done 5-6 weeks out and should be 45-50 km long, with 55 km being the absolute maximum. Long runs enable you to figure out your race day strategy – you should test everything (from the clothes you wear to what you eat) as you would on race day. It is also a good time to try out solid foods. Take notes of everything that happens on the long run so you can figure out what to adjust for race day. The long race: Worse than the long run, is trying to better your seeding by racing a marathon or ultra. It can be done but you put Comrades in jeopardy. All races over 15 km from now should be done slowly – it is all about getting to Comrades fresh and healthy, not burnt out. Sickness & Injury: It is guaranteed that at some point in your training you will get injured or sick or both. If you are sick, do not train. Taking a few days off will help you not harm you. Tapering: This will begin immediately after your long run. Start with reducing weekend mileage and keeping weekday mileage the same for the first 2 weeks. Slowly decreasing weekday mileage after. In the last week do almost nothing. You can do a little something on every day you would normally train if you prefer to keep active, or take the last few days off if you want to arrive at the start hungry to run, like Bruce did. Preparation: Make lists of everything you need for race and check it off before you leave for Comrades, when you arrive at your destination and on race day to make sure you do not miss anything. The stress and nerves can make you forgetful. If you are travelling by plane, keep all your running gear in your hand luggage – you do not want it to go missing. Experimentation: Do not try anything new in the days leading up to Comrades – especially no new foods. Only eat what you are used to and nothing overly rich or heavy. Weight Training: If you have been doing weight training consistently throughout your training, stop ten days before Comrades. If you just started, stop two weeks before. Mental Preparation: Drive the route before-hand, it may scare you but it will put everything into perspective and give you an idea at the sheer distance. Being scared is a good thing; a scared runner will make a better Comrades runner than a confident/arrogant one. Bruce still drives it every year! The Expo: If you can, go to the expo on Friday so you can spend more time there. If you have to go on Saturday, don’t be there longer than an hour. You do not want to spend the day before Comrades on your feet. And do not try out new things! Carbo-Loading: In a race of this magnitude excessive carbo-loading is unnecessary and puts added stress on your body – your body will rely mainly on fats. Keep your food intake normal, bearing in mind you will have to consume sports supplements and food during the race to keep energy levels up. Tapering Nutrition: During the taper, do not adjust the amount you are eating. As you will be consuming more energy than you are using, you allow for carbo-loading to naturally occur. Empty Calories: No matter what diet you follow, be aware of empty calories – like cold drinks. They provide you with no nutrients and the sugar in them stimulates your body’s need for more sugar. Get the majority of your calories from nutrient dense whole foods and fresh produce – which give you nutrients as well as satisfy you. 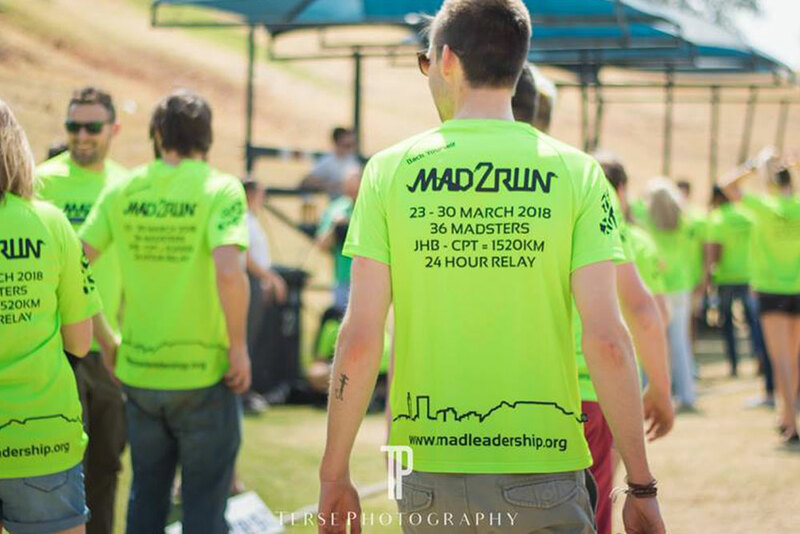 Race Day Food: Comrades serves Pepsi Cola, Energade and a Sprite-like drink at water stops – During training use them so you get used to them and know which works best on your system. After about 4-5 hours you will be sick of gels and anything sweet – You need to practice consuming other foods so that you are able to get in carbs and fuel with solid foods. Carbohydrate intake: During Comrades you should be taking in 1 gram of Carbohydrates per kg of body weight every hour eg. An 80kg male will need to consume 80g of carbohydrates per hour. A gel along with pepsi should give him that amount. Comrades offers salted potatoes (Wipe the salt off so they are not excessively salty), crisps, jelly babies and oranges. These savoury foods help break the monotony of gels and reset your palate so you can continue with gels. Practice having these foods during the long run, especially oranges, which may cause an upset stomach because of their high acidity levels. Early on in the race have real food so that you have more blood in your gut and digestive system. This will help later to digest gels and other foods, as blood is routed elsewhere in the body. The Big No No’s: Do NOT take pain killers or anti-inflamatories during the race. You put yourself at risk for permanent kidney/liver damage. Arrive Early: Family cannot go up to the start, so rather have them just drop you off. Pens close 15 minutes before the race starts, so give yourself enough time to get into your correct batch. If not you will be starting at the back – which could take as long as 6 minutes to cross the start line. Sun protection: Be liberal with your sunscreen application. You do not want to reach the 60 km mark, burnt and uncomfortable. The Up and Down runs are 2 different runs. The start of the Up run is actually warmer than the start of the down run. Distance markers: Unlike other races, markers are backwards. They become important only with about 15-20km to go. Before that, rather run according to landmarks to keep spirits high when you see ‘56km to go’. Slow Down: Hold yourself back – Do not tear across the start line. The first half should feel like you are going too slowly. That time can be made up in the second half, but if you went out too fast you will pay for that three times over. Muscle Cramps: If you start cramping DO NOT stop. Transition slowly from a run to walk but do not stand still. Walking: You must walk on fields Hill as well as Bothas hill. Fields Hill (25 km in) is the litmus test for how well your Comrades will be according to Bruce. If you are feeling good, you will have a good race. If you are already struggling you have a long and tough road ahead. The Wall of Honour: Between Botha’s Hill and Drummond there is a wall of honour, where Comrades finishers get to put up shields with their names. Take it in – don’t breeze past it. The 37km mark is the second highest point on the race. At this stage most of the climbing has been done. Halfway: The 50 km mark is where you should consider the halfway mark. After that, the route gets easier. As long as you get to this point in fairly good spirits and feeling relatively good, you can do the next 37km well. Support: Camperdown Village is a great place to have family and friends cheer you on as they are able to get in and out easily. The Two Pollies: Do not make the mistake of thinking Little Pollies is THE Polly Shorts – it is nothing but a taste of things to come. NEVER STOP during the race with the exception of going to the bathroom. You cannot make up the time spent stationery, rather walk. This means that you don’t pause at water stops, you walk them, you don’t stop to chat to family and friends – they can walk with you for a bit, and do not stop for a massage – rather grab Arnica Ice (available at water stops) and slather on for temporary relief. The Finish: Have a warm layer of clothes at the finish to change into – it can get very cold. The real triumph of comrades is not at the end but rather in the days to follow. Embrace the Comrades limp, you’ve earned it. The person you are now will not be the same person you will be once you cross that finish line! 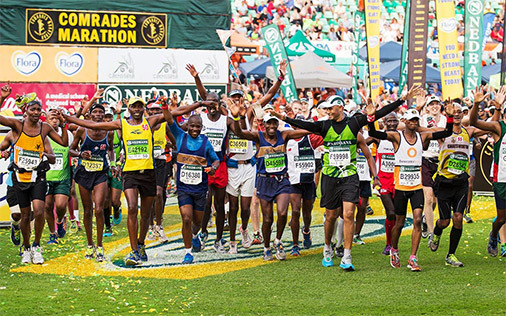 Got more Comrades Marathon Tips you want to share? Comment below! Kindly share more big C tips. I am an anxious novice runner. Thank you.